"RINGing" in the New Year with a Circle Theme Kid's Party! “RINGing” in the New Year with a Circle Theme Kids Party! 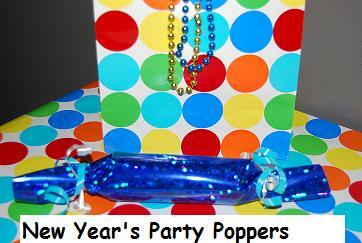 Let’s RING in the New Year with a CIRCLE THEME Party for Kids! New Year’s FUN FACT – Foods in the shape of a ring are thought to bring good luck and symbolize the year’s “coming full circle.” Many celebrate the New Year with foods that are circle-shaped (especially donuts and cookies). Some believe that eating circle or ring-shaped foods will bring good luck in the New Year! 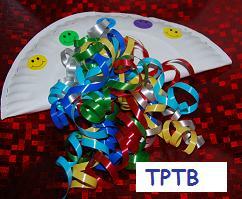 Decorations – Have the children make dots on paper napkins or plates with markers or bingo dot markers. 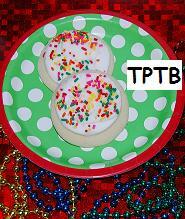 Use any circle or dot themed supplies that are commercially available. Foods – Cut bread, meat, and cheeses with a glass or circle cookie cutter to make sandwiches. Slice potatoes in circles, add a little olive oil and Parmesan cheese, and then bake on a foil-lined cookie sheet. Finish the children’s plates with small slices of grapes (*cut each grape into fourths if allowing very young children to eat), kiwi, and strawberry slices. Drink – New Year’s Punch: Buy inexpensive flutes or glasses for the children. Make a pitcher with ½ sparkling white grape juice and ½ white grape juice. Homemade “Noise” Makers – Fold one paper plate in half and staple around the edges (leave a small opening at the top to insert any of the following items): small toys, confetti circles, small balls (*watch for choking hazards if using with younger children), small craft stones, large beads, or lima beans. Let the children tape pretty ribbons to their noise makers. Glittery Circles – Have the children make prints with the ends of cardboard tubes. 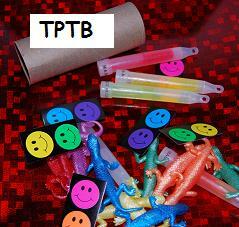 Dip the ends of the tube in tempera paint and use to make circle prints on paper. These make very cute prints if you use white tempera and have the children make prints on blue paper. Sprinkle the circle prints with glitter for a shimmery and festive effect. 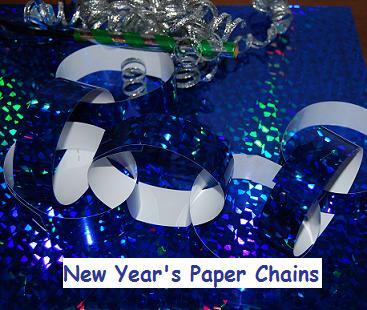 New Year’s Paper Chains (see photo at beginning of post) – choose festive paper and have the children cut into strips. The children can use glue sticks, glue dots, or ask an adult for help to staple the strips together to make a paper countdown chain. Put a ribbon and noise maker or treat at the top of the paper chain. Have the kids remove one circle link for each 1/2 hr. or hour until the New Year (or bedtime) arrives! We hope all of you and your families RING in the New Year with FUN! Wishing you and yours many blessings for the year ahead! « Legend of the Candy Cane ~ Cookies for Christmas Eve!